The island of Rhodes, a real gem of the Aegean Sea is an island that perfectly balances the medieval grandeur of a distant past, with modern living. Rhodes attracts visitors from all around the world, who come to admire a splendidly preserved seaside medieval city, several beaches and archaeological treasures of immense significance and to experience its vibrant nightlife. Rhodes has almost everything, and no one visited this island without falling in love with it. 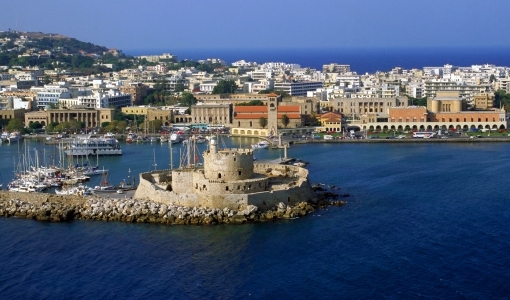 The city of Rhodes has many worth visiting attractions. The iconic medieval town, a UNESCO World Heritage Monument that dominates the harbour of Rhodes is a destination on its own; the Palace of the Grand Master and the Archaeological Museum are the most popular sites, followed by the ancient Rhodian Acropolis and the Marine Aquarium in the new town. Out of the city, the Valley of the Butterflies and the Seven Springs are famous attractions of natural beauty, whereas Lindos, known for its Acropolis, is a gorgeous traditional village that resembles the Cycladic isles style. And of course, the beaches of Rhodes, the perfect union of the sea and the land are guaranteed to capture your heart! Or when you prefer swimming and diving, the favourite beach for locals and visitors Elli beach isn’t far; you can reach almost everything just walking around! Want to see more? Just take the hop on hop off Buses to explore the most significant part of the New Town. Have also fun shopping or exploring the island’s gastronomic scene. Countless shops carrying international brands, restaurants, cafes, bars, and nightclubs to suit every taste, all surrounded by the atmospheric ambiance that you’ll find nowhere else but Rhodes! After purchasing your ticket, you will receive a voucher in your email box. 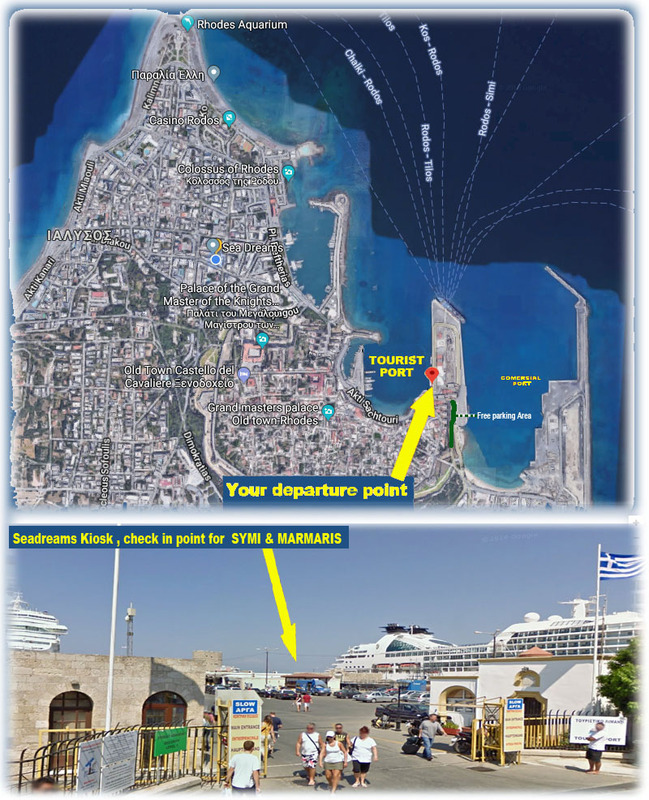 Once you have your voucher email from our website, please be at the Marmaris Cruise Port of Rhodes one hour before the departure at the Check-in Kiosk to take your boarding card. Your boarding card is your valid ticket for the day excursion (return also). With your boarding card, you must go to Departures gate for the Passport control, then directly on the boat. Please note: Children are considered from the age 6-12 (year of birth2007-2013) and infants from 0-5 (year of birth 2014-2019). For passengers traveling alone they must be 18+ years old and own a valid passport, otherwise they must be accompanied by an adult. If a minor child is traveling with one parent then need affirmation of the second parent by police explicitly states that consent to the journey of the minor. Passengers over 18 years with Greek citizenship must have identity with Latin characters or passport. Passengers with Turkish nationality need a passport & visa. Choosing the right day and the right ship is your own responsibility. Reservations have to be made at least one day before. The vehicle license has to be sent by e-mail or fax. Should have International security –Green Card and indicating Turkey. When the vehicle driver is not the owner need authorization translated from the Consulate Turkey (t: +30 22410 23362). The passenger has to state the vehicle to the custom one hour before the departure.